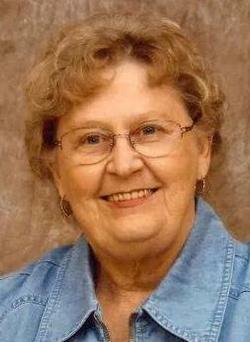 Betty Jane Sellers, 77, passed away December 20, 2014 at Deaconess Hospital in Evansville. She was born March 25, 1937 in Cadiz, KY the daughter of Thomas and Hazel (Faughn) Freeman. Betty was a member of the Mt. Vernon General Baptist Church and JOY Class. She worked in the church’s ministries as choir member, Sunday School teacher, Guild Girls mission group leader, VBS, Children’s Choir, Children’s Church, was a Kentucky Colonel and a past Girl Scout Leader. Betty worked in the family propane gas business and other area offices. She was a hobby genealogist and wrote family genealogy books, set up genealogy websites and contributed to the GENWEB project. She taught Tole Painting classes at the L&S Craft shop in Mt Vernon and passed along her love of embroidery, quilting, crochet and knitting to others. She was preceded in death by her parents and her husband, William H. “Bill” Sellers in 2004. She is survived by her daughters, Margie (David) Waible of Poseyville, IN and Dianna Sellers of Summerville, SC; sons, Tom Sellers of Mt. Vernon, IN and Jon (Melissa) Sellers of Evansville, IN; grandchildren, Brady and Jesse Waible, Jim, Brandon and Tyler Sellers, Stephanie, Jon Michael, Samantha and Paul Sellers; and 6 great-grandchildren. Service will be held at 10:00 am Tuesday, December 23, 2014 at Schneider Funeral Home, 512 Main St. Mt. Vernon, IN with Rev. Matt Watson officiating and burial to follow in Oak Hill Cemetery. Visitation will be held from 4:00 pm until 7:00 pm Monday, December 22, 2014 at the funeral home. The family would like to make a special thank you to Dr. Rice, Dr. Sutton, Mt. Vernon Nursing & Rehab, and the home healthcare nurses and therapists for their support and care.